On average, most people clear out their closets at least twice per year. All of the clothing they no longer wear it taken to charity locations and thrift stores. Many people donate clothing items that they only wore a couple of times or that still have the tags on them. The most common thrift stores to find such clothing are the Salvation Army and the Goodwill. 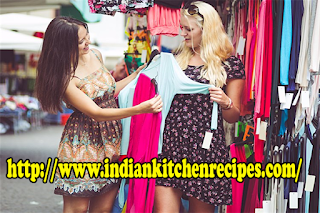 Both of them inspect clothing for stains and tears so you can be sure you will find good quality clothing for men, women, and children at very low prices. Many people think these thrift stores only carry outdated clothing but that is simply not the case. Children often outgrow clothing before it has been worn out or the style has faded. There are also plenty of clothing articles that never go out of style including t-shirts and denim jeans. While you may not find the same styles offered at the trendy retailers in the area you will find plenty of quality clothing for less than you will pay for it anywhere else. I have walked out of such thrift stores with bags of clothes that cost me less than purchasing one outfit at a retail store. Jackets are very expensive but not if you purchase them from a thrift store. There are plenty of winter jackets, pullovers, and windbreakers to choose from. To make finding things in the right size easier most thrift stores separate clothing by the type that it is and by sizes. However, you will need to spend your time looking through what is available. The downside is that if you do find something you really like and it doesn’t fit you won’t have very good luck finding it in another size as you do in a department store. Depending on the location of the thrift store, they may carry various household items as well. Some of the larger facilities offer used furniture, appliances, and books. I found a couple of nice wood end tables at a thrift store once that I like so much I have never replaced them with anything else even though I can now afford to do so. Too many thrift stores have gotten a bad reputation for being viewed as a place to shop for individuals who don’t have very much money. If your pride keeps you from visiting thrift shops then you will be throwing your money away. If you have never been into a thrift store you really should take the time to do so. You will be pleasantly surprised at what you find there. Another good alternative is shopping at consignment stores. These are places where individuals take their unwanted clothing and furniture to be sold. The store splits the profits made from anything that sells with the person who brought it in. Most consignment items can only be on display for a limited amount of time. Towards the end of that time frame the items are generally sold at a discounted price before they are taken off the list of items to be sold. You will pay more for items at a consignment store than you will at a thrift store but you will also be able to find some wonderful bargains that still save you money over buying them retail. The reason you will pay more is because the person selling the items and the store want to make as much profit as possible. You generally won’t be able to negotiate the prices though. One good example of saving money at either thrift stores or consignment stores is for party dresses, wedding dresses, and prom dresses. It is likely that they will only be worn once so it is silly to spend hundreds of dollars on such a gown. You will likely be able to find a good selection of such dresses that are still in style. Even if you have to pay to have the dress altered a bit you can still have the beautiful dress you want without the expense.